On Sunday, 17 November 2013, Janice and I met local role-players Sara F. & Josh C. and Bruce K. for lunch and to see Thor : The Dark World at the AMC Burlington 10. All of us enjoyed the latest superhero sequel, for which we had modest expectations. 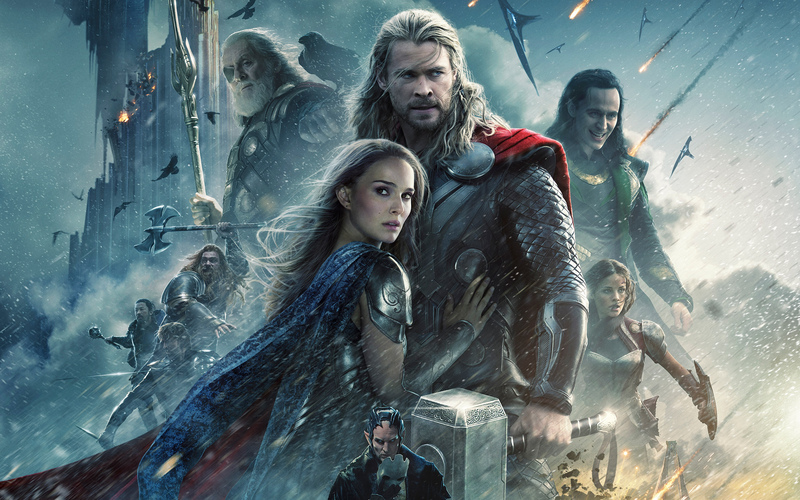 If you liked 2011’s Thor, you’ll like The Dark World, which takes place after the events of The Avengers, one of the best and most popular adaptations from Marvel Comics so far. Despite the ominous title, The Dark World is closer to its four-color roots than Man of Steel or even Iron Man 3. The story of Thor 2 is fairly straightforward. Ages ago, the mighty Asgardians defeated the Dark Elves in battle and hid the source of their (pseud-mystical/technological) powers. Malekith, the Dark Elf leader, reawakens after Earthling physicist Jane Foster stumbles on the hidden “aether” and resumes his war on the godlings and humanity. After a devastating attack — is there any other kind? — Thor is forced to turn to his stepbrother, the mischievous Loki, for help. As Thor and Loki defy king Odin’s edicts to take the fight to Malekith and his brutal henchman Kurse, Jane and her friends race to thwart the Dark Elves’ plans before an alignment of the Nine Realms (note that Thor is only loosely based on Norse mythology and its apocalyptic visions). Just as Kenneth Branagh brought Shakespearean and operatic sensibilities to the first Thor movie to prove that cosmic-level superheroes could be successful in live action, director Shane Black keeps the action moving among multiple planes of existence. His action scenes are about as good as those in Man of Steel and better than Iron Man 3‘s, and the characters are funnier and more sympathetic, thanks in part to script help from fan favorite Joss Whedon. Chris Hemsworth is still beefy and appealing as Thor, and Natalie Portman isn’t just a damsel in distress as Jane. They’re also supported by a strong returning cast, including Anthony Hopkins as Odin, Rene Russo as his queen Frigga, Idris Elba as all-seeing Heimdall, and Jamie Alexander as winsome warrior (and Thor’s potential love interest) Sif. The Warriors Three also have brief moments in the spotlight, with Tadanobu Asano’s Hogun returning to his home, Chuck‘s Zachary Levi as swashbuckling Fandral, and Ray Stevenson as big guy Volstagg. Jane’s colleagues are as wry as ever, including Kat Dennings as snarky Darcy Lewis and Stellan Skarsgard as mad scientist Erik Selvig. Of course, as with Robert Downey Jr. and Iron Man, Tom Hiddleston’s charismatic and smarmy Loki is the highlight of both Thor films, as well as the first Avengers. Unfortunately, former Doctor Who Christopher Eccleston gets short shrift as Malekith, with relatively little screen time for motivation. Today’s audiences are spoiled compared with those who thrilled to the Donner/Reeve Superman or 1970s TV’s Incredible Hulk. The visual effects are as good as we’ve come to expect, with shining Asgard, gloomy Svartalfheim, and besieged Greenwich and London fully realized. I was glad to see the destruction of English cities rather than the old standby of New York, and the carnage was less wanton than in many recent movies, such as Star Trek: Into Darkness. Comic book readers will recognize the influence of artists such as Jack Kirby, Walt Simonson, and Mike Mignola. Stan Lee of course has a small cameo. As with the other Disney/Marvel movies, there are brief scenes during the end credits that set up the inevitable Thor 3 and tie into the upcoming Guardians of the Galaxy. Overall, I’d give Thor: The Dark World, which is rated PG-13 for violence and language, a B+, 7.5 out of 10, or three out of five stars. It was one of the better genre flicks of the past year, and I definitely recommend it to fans of Marvel Comics and superhero movies. Speaking of tie-ins to that cinematic universe, I haven’t yet reviewed this autumn’s genre television. The most relevant show to Thor 2 is Agents of SHIELD, for which Whedon is a producer but is missed as a writer. Last night’s episode tangentially dealt with the aftermath of the battle in Greenwich, but many people still hope that ABC’s TV show will become more about weird superspies in the Marvel universe than weekly procedurals involving snarky rookies that feel as if they’re written by committee. I’d point to WB/DC/CW’s Arrow, now in its sophomore season, as a better example of mining comics for ideas and steadily advancing storylines and characters. It’s telling that, aside from all the Comic-Con hype around Agents of SHIELD, the new shows garnering positive buzz this season are the fun supernatural Sleepy Hollow and cyberpunk Almost Human, not SHIELD. Of the trailers we saw, I’m cautiously looking forward to The Hobbit [2 of 3]: the Desolation of Smaug, 47 Ronin, X-Men: Days of Future Past, and Captain America 2: the Winter Soldier. I’ll report on the recent Rhode Island Comic Con after I attend the annual Super MegaFest this coming weekend. 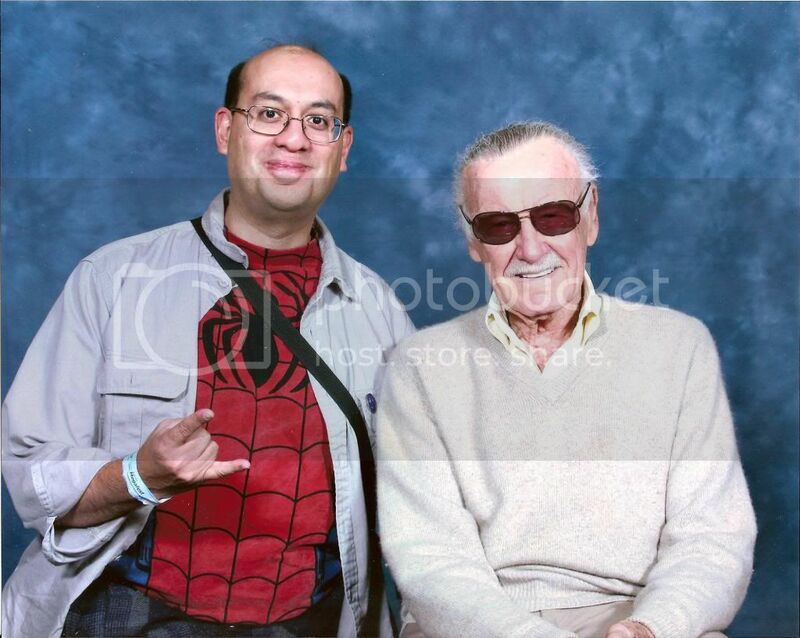 As Stan “the Man” says, Excelsior! Posted on November 20, 2013 by GeneD5Posted in Comic books & superheroes, Movies, TelevisionTagged Agents of SHIELD, Marvel Comics, review, The Dark World, Thor 2. Stuart, I’m approaching 47 Ronin as a quasi-Asian fantasy movie, not a faithful retelling of the Japanese legend. It has about as little relation to reality as Western fantasy does to European history. Still, I understand why Beruk and you dislike the Keanu Reeves trailers. Since I’m now running the “Vanished Lands: A New Dawn” campaign, I hope the movie will provide some good imagery for my role-players! Thanks for the reviews! I’ve really enjoyed Arrow this season…it would be fascinating if DC could tie it into their movie universe. I rather liked the 47 Ronin trailer. Dave, I’m glad that you’re also enjoying Arrow, and there has been a lot of speculation online about whether the upcoming Flash pilot will serve as a bridge between Arrow‘s TV continuity and the Man of Steel/Batman vs. Superman cinematic universe. It’s too soon to tell. I do hope that WB/DC/CW continues to up its game to compete with Disney/Marvel for live-action superheroes, and the less they worry about “new 52” and “Marvel Now” and the more they stay faithful to core concepts and the best comics runs, the better!